In the picturesque village of Doudleby in the valley Malse is even more picturesque hotel Klor, which offers an environment identical to the summer residence of the Queen of England. 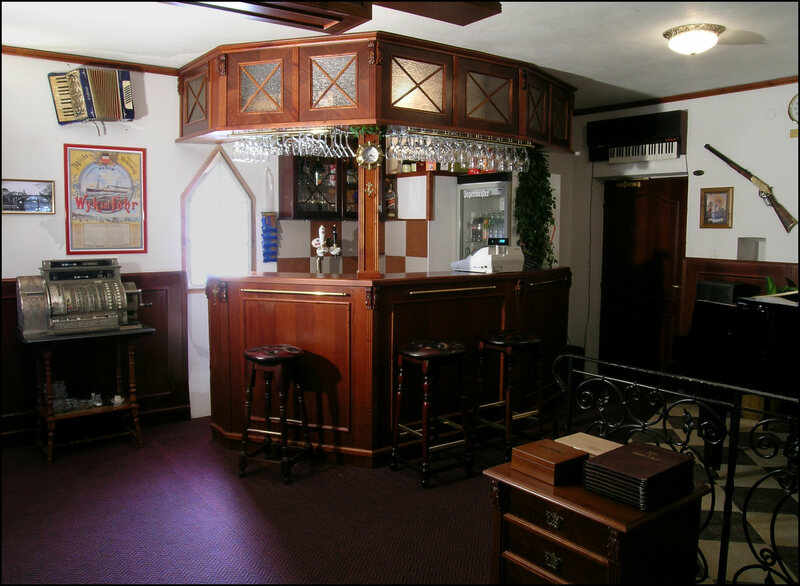 The interior of the hotel is made up of classic English furniture, through which raise the bar of your holiday, wedding day, birthday party, corporate training, parties and other events. 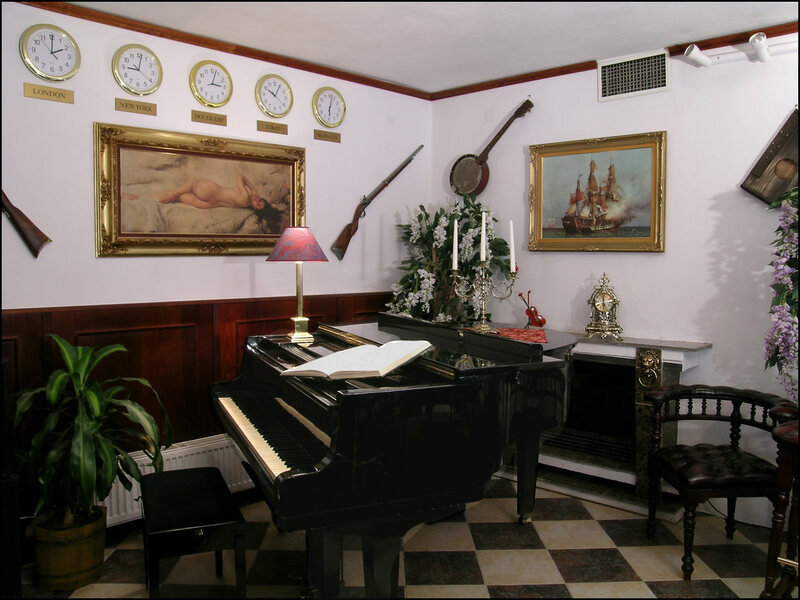 Our hotel is sure to leave pleasant memories of charming moments. 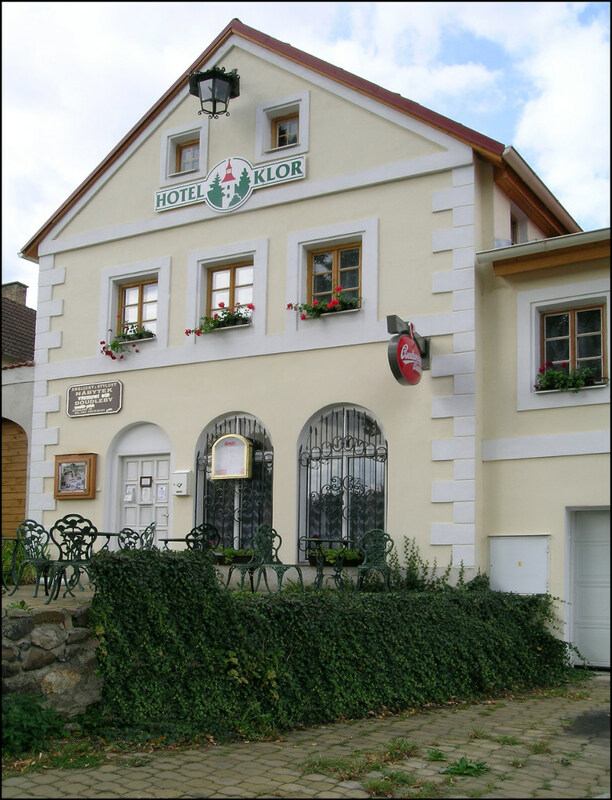 Hotel Klor boasts not only a beautiful interior and comfort, but also offers plenty of opportunities for relaxation. You can enjoy a heated indoor pool, organize familiarization flights on their own airport, arrange the rental of canoes, rafts, bicycles, active relaxation can also use a local sports facility, in winter ice rink and a ski lift. We are almost ready to fulfill all your wishes. 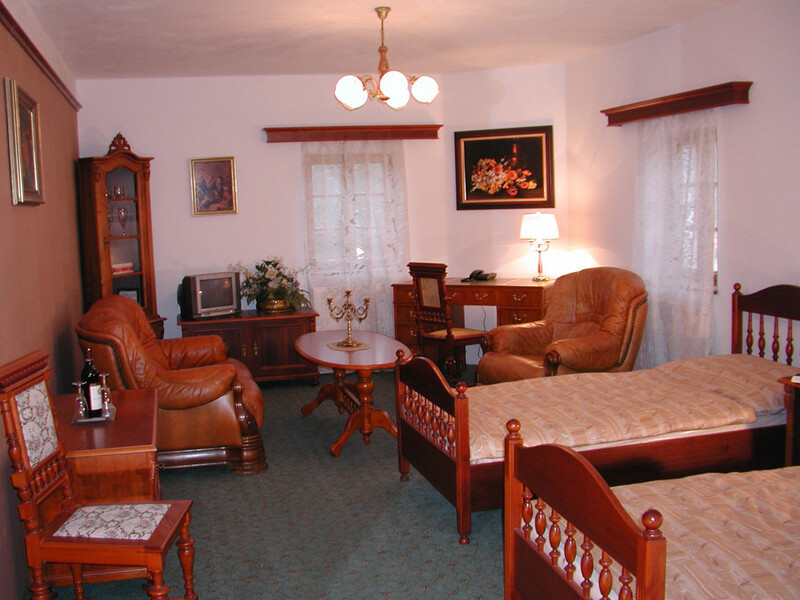 12 richly decorated rooms in a beautiful English style are waiting for your arrival. Make yourself happy and after trips and other pleasures lies down to the royal apartments, where a filling for another great day. 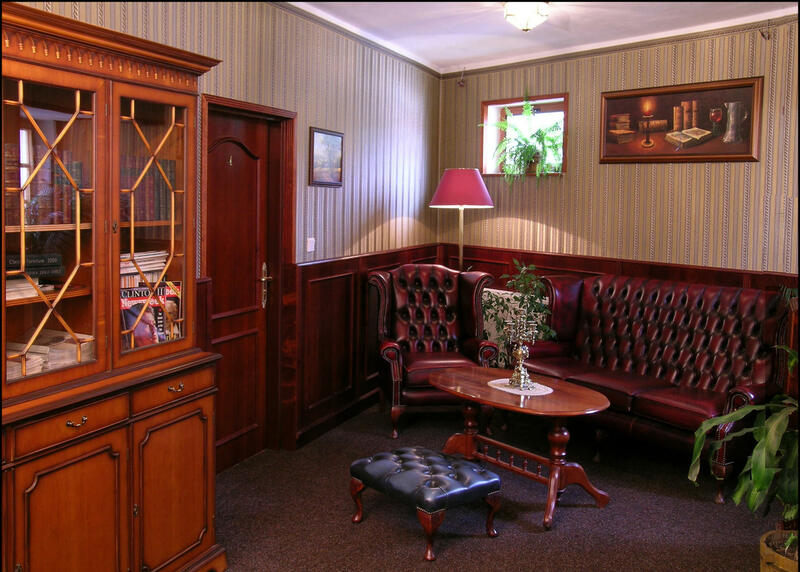 The three-star hotel Klor guaranteed to satisfy even the most demanding guests. Whether you are an individual or take the whole family, friends or business 12 luxuriously appointed rooms in the English style is fully available year-round. 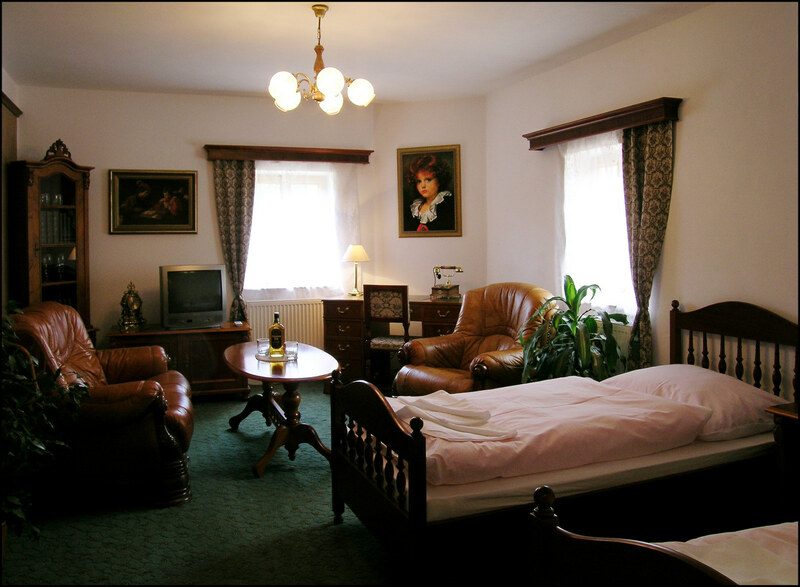 The rooms are mostly double and triple rooms with extra beds. The menu is, of course, but also a single room or family suite quadruple. Total capacity is 40 beds. 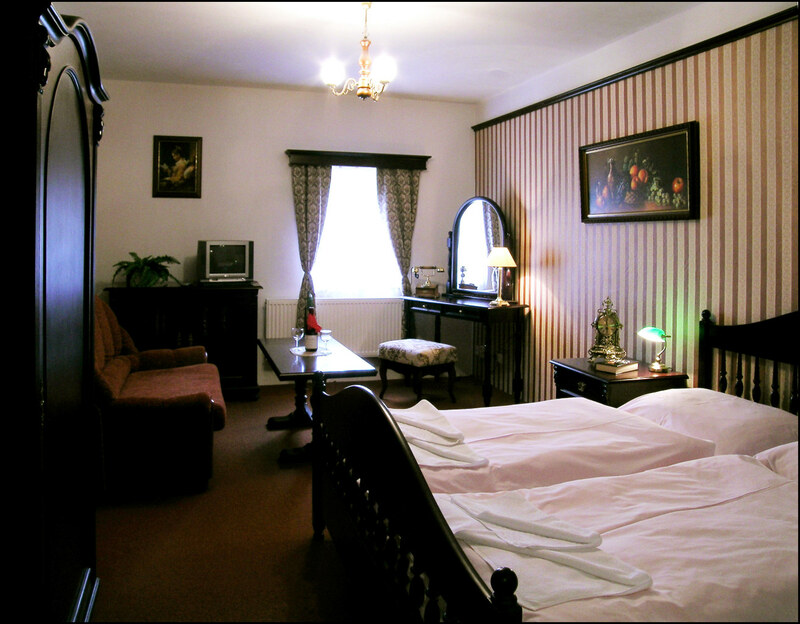 Each room has a private bathroom with shower or bath, color TV, telephone with direct dialing, internet connection (WIFI) and a beautiful English furniture, so as to guarantee our guests comfort during their stay. Will be happy to issue a gift voucher for a stay of your relatives or friends in our hotel. Every morning you can enjoy a delicious breakfast in the price. Your car will be safe in our locked car park. Rates are per room, per night, incl. breakfast, parking charges and locked. You can daily from 17.00 to 21.00 hours. In the event that you need to stay in a different time, please call 602 140 408 Time-out until 11.00 hours.